I finally finished designing this idea. 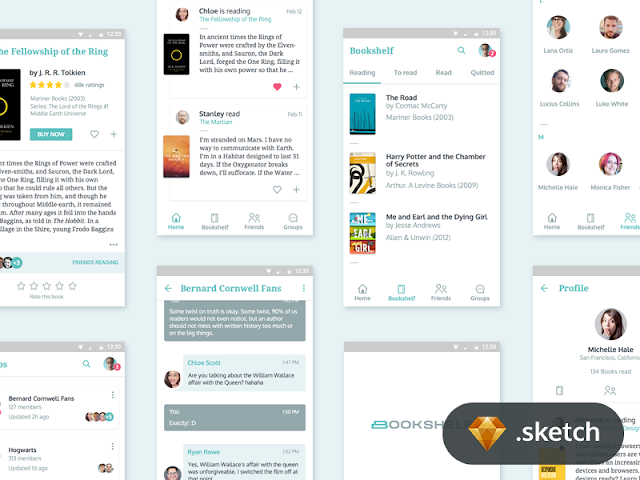 A social network for people who love books and love to talk about their favorite books. As promised the .sketch file is available for download.